A Mobile Theater that comes to your venue! 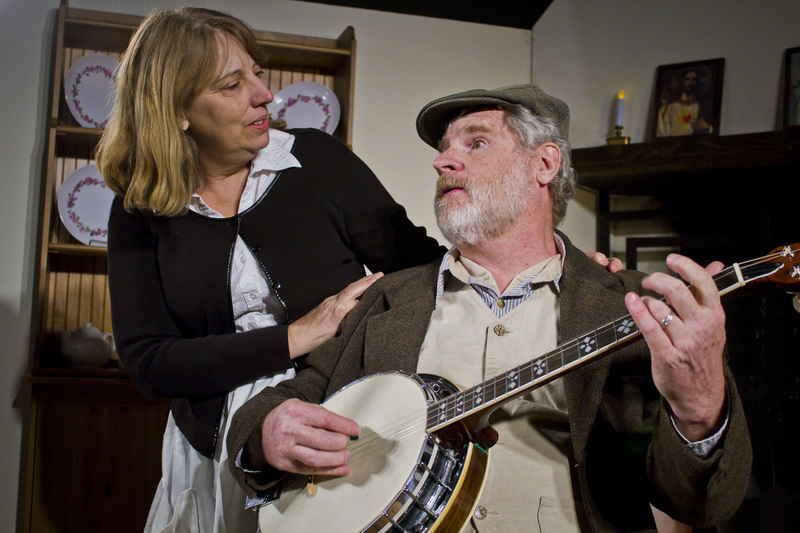 “A show that will get your toes tapping, hands clapping, and fill your heart with joy”. Celebrate a simpler time in an Irish farm home. 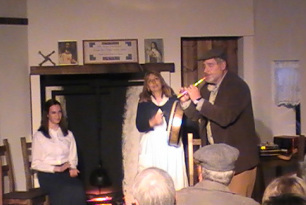 Experience true Irish entertainment as your hosts delight you with music, wit, humor, stories, Dance and shenanigans, while friends and neighbors come calling adding to the fun and frolic. 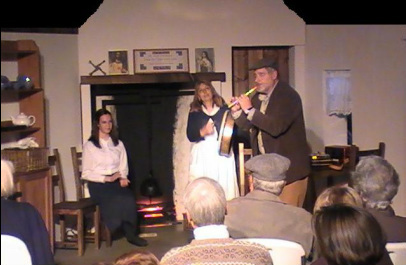 A couple on their small farm home in rural Ireland, at a time when life was only what you made of it, and where visitors came visiting for an evening of entertainment the way it used to be…Themselves.! Their visiting friends* and neighbors will also provide their own songs and recitations, sing-a-longs as well as dancing. It will be a true ceili in the Irish tradition. You, the audience, will be involved in the evening, as you will be treated as another guest in their home. A show that comes to you, and transforms your facility or room into a theater! 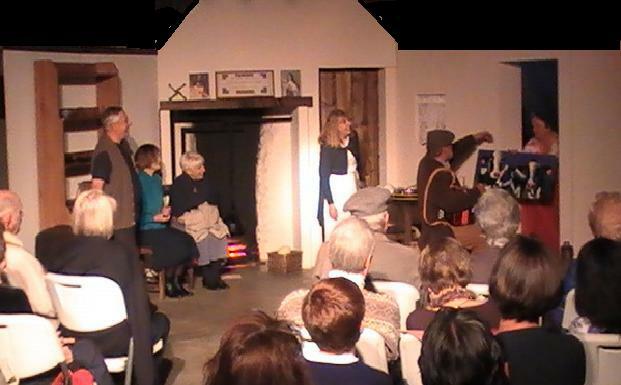 Our mobile set brings to you the inside of an Irish Farm Cottage, and comes complete with lighting and sound. You provide the space, and we make the transformation. *Do you have someone from your group or organization that can sing an Irish tune, play Irish music on an instrument, Step Dance or the like? We can put them into the show as a visiting guest! "Bride of the Sea" Listen to the end..it sums it all up! "An incredible performance! I had no idea he was an internationally known musician...he can play any instrument masterfully, tell wonderful Irish stories and he is a wonderful actor. And, can hit those Irish high notes. I was mesmerized". "What a treat to hear him sing and act. I already knew he was a consummate musician in all instruments, as well as Celtic ones"
"Ben and I attended one of their shows and it was so much fun! Karen is a master of her craft as well...and then, there are their talented friends...just wonderful to be in their midst and become enchanted...Irish style".